We will start churches among unreached people groups and equip those needing support and training. 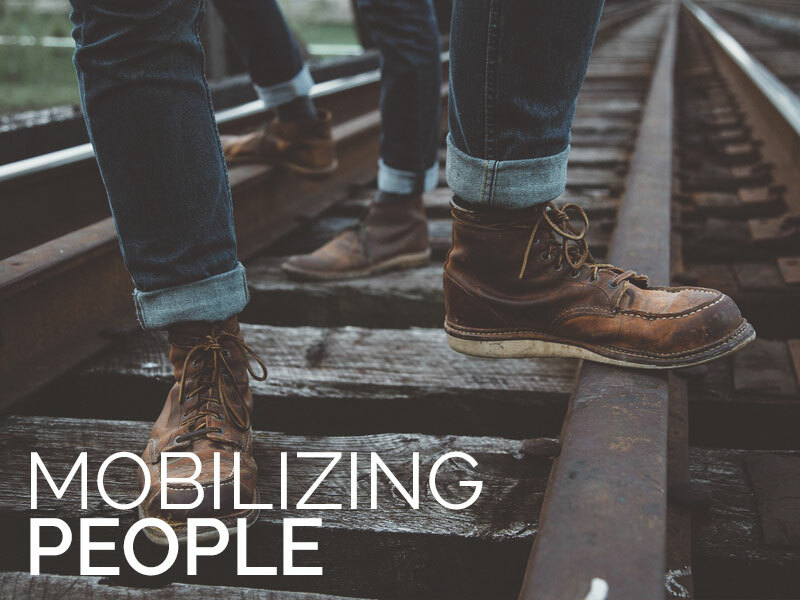 We will raise up people among us who are mobilized for global mission. We will launch people to start vibrant churches among the unreached in Jesus’ name. Please review the criteria for making a one-time global missions funding request. The policy can also be downloaded using the button below. Member of Bayou City Fellowship. Financial support: (i) for a specific project/event, or (ii) for a missions trip (Bayou City or non-Bayou City). To be eligible for the grant in accordance with this Policy, (i) a candidate must complete the Request Form, and (ii) the request must be approved by the Mobilization Pastor from his/her campus (if the amount is in excess of $1,000, then Missions Team approval is also needed). Member of Bayou City Fellowship in good standing; regular attender for at least one year. Personally involved in the ministry for which the grant is being requested. Lives a life style in harmony with God’s Word. In theological alignment with Bayou City Fellowship. Project/event or missions trip has a Kingdom Purpose. Up to 20% of total required for the project/event or missions trip. Payments will not be made to individuals. Will follow all Bayou City Fellowship financial procedures. Hardship scholarships will be considered on an “as needed” basis. These scholarships are for individuals or families who can prove hardship circumstances and/or the inability to raise funds for a missions trip. The applicant for the hardship scholarship must explain in writing the extenuating circumstances and attempts to sacrifice or raise funds. Recipients of a hardship scholarship must be members of Bayou City Fellowship traveling on a Bayou City sponsored missions trip. The hardship scholarship may provide funds up to 50% of total trip cost. Grant Requestor a Member of Bayou City? Are you in agreement with Bayou City Fellowship’s statement of faith? Please describe the specific project or event or Missions Trip to which the grant will be applied. Please describe your involvement in the ministry for which the grant is being requested. Are you requesting a hardship scholarship for a Bayou City Missions Trip? If yes, please explain your hardship circumstances and/or the inability to raise funds for the trip. If the organization is not Bayou City, please provide information that the organization is fiscally responsible. This policy applies to both Career Missionaries and Short Term Missionaries. To be eligible for support in accordance with this Policy, a candidate must complete the Request Form (which must be endorsed by a Mobilization Pastor, Small Group Leader or other Pastor) recommended by the Mobilization Team and approved by the Elders. Bayou City Fellowship Career Missionary – A member of Bayou City Fellowship of at least two years who has demonstrated an active Christian faith and has received a call from God to full-time missions ministry. Non-Bayou City Fellowship Career Missionary – An active Christian, who has received a call from God to full-time missions ministry and is connected to Bayou City Fellowship through Bayou City Fellowship's members. Short Term Missionary: A candidate who has been a member of Bayou City Fellowship of at least two years and desires to receive support from Bayou City Fellowship for a period of longer than three months but shorter than three years. Lives a life style in harmony with God’s Word and is in agreement with Bayou City Fellowship’s Statement of Faith. A Career Missionary must have proven ministry experience. An educational background and experience that qualifies the candidate for the intellectual and spiritual rigors of the assigned field. A background of cross-cultural and language training necessary for the assigned field (or the commitment to receive such training). Candidate’s field of service has a Kingdom Purpose. Candidate will work under an approved Missions Agency or institution (See Below). Articles of faith and missions philosophy consistent with those of Bayou City. Adequate demonstration of financial responsibility and accountability. The Mission Agency can give Bayou City assurances that Bayou City allocated funds will be used only for the work of the designated missionary and shall not be diverted to other ministries or missionaries, even if it exceeds the missionary’s needs, without the permission of Bayou City. The Mission Agency will provide an annual financial summary for each Bayou City supported missionary. Will follow all Bayou City financial procedures. For Bayou City Career Missionaries and Short Term Missionaries, if requested, a one-time payment to cover mobilization costs can be made up to $15,000. Bayou City’s acceptance of new Career Missionaries shall be by recommendation of the Mobilization/Outreach Team and approval of the Elders. The actual financial level of support for each missionary will reflect other considerations, including support needs and the availability of budget funds at the time new candidates are considered. A specific Mobilization Pastor will be designated as the missionary’s point of contact with Bayou City. Once accepted for support by Bayou City, continuing support generally is anticipated. Support status will be regularly reviewed as a part of the annual budget process. After budget approval, the Mobilization Pastor will notify the missionaries in writing of their support status for the coming year. Support of a missionary may be terminated in instances such as the transfer to another mission agency, behavior unbecoming to the cause of Christ, ineffective ministry, an unapproved change of field or significant ministry redirection; therefore, missionaries must notify the Mobilization Pastor in writing prior to making major changes in ministry, location, church membership or mission agency. Such changes will result in a review of continued support. While on the field, (i) Bayou City Career Missionaries and Short Term Missionaries will send [monthly] reports to the Mobilization/Outreach Team, and (ii) non-Bayou City Career Missionaries will send [quarterly] reports to the Mobilization Pastor. Bayou City will continue to support all of its missionaries when they temporarily leave the field for home assignment (deputation, continued education, administrative requirements, health issues, visa reapplication). Bayou City Career Missionaries are expected to spend significant time at Bayou City while on home assignment. They will serve within the church alongside Bayou City staff, using their gifts and skills to help build the church body. A ministry plan for the home assignment period, including a time of rest and relaxation apart from church duties, will be developed and agreed to by the missionary, the Mobilization/Outreach Team, the Elders and the church staff. Non-Bayou City Career Missionaries are expected to allocate some of their time on home assignment to network with Bayou City and meet with the Mobilization Pastor. In the event a missionary is away from the field for longer than one year, continuation of support will be reviewed and may be terminated by the Mobilization/Outreach Team subject to final approval by the Elders. Bayou City will, when possible, continue support of missionaries during periods of advanced study (1-2 years) if the missionary plans to return to the field upon completion of this study. All new career missionaries shall be approved with the understanding that at the end of their first term, their ministry shall be evaluated to determine whether (1) it is in accord with Bayou City’s Mobilization/Outreach ministry objectives and (2) they are meeting these ministry objectives successfully. The evaluation process shall be initiated by the Mobilization Pastor together with Mobilization/Outreach Team, followed with action to determine whether Bayou City will continue the missionary’s financial support. Missionaries shall be informed of this evaluation process at the time they complete their application. Bayou City Career Missionary – a member of Bayou City for at least 2 years who has demonstrated an active Christian faith and has received a call from God to full time missions. Non-Bayou City Career Missionary - an active Christian who has received a call from God to full time missions ministry and is connected to Bayou City through its members. Short Term Missionary – a member of Bayou City for at least 2 years who desires to receive support from Bayou City for a period of longer than 3 months but shorter than 3 years. Note: Career Missionary denotes a desire to receive support from Bayou City for 3 or more years. Please explain your call from God for full time missions. Please provide qualifications such as previous ministry experience, educational background, cross-cultural/language background/training, etc. Please describe the missions agency or institution under which you will work, specific area/location of work, and focus of ministry. This policy applies to any grants to an organization that does not have funds specifically approved under an approved Missions Budget (i.e. does not contain an approved line item amount in the budget). The funds for these grants will be drawn from the “Campus Discretionary” line item in an approved Missions Budget. This policy does not apply to grants made to organizations in response to emergency relief work (e.g. hurricane relief grant). To be eligible for support in accordance with this Policy, an organization must complete the Request Form, and if: (i) the requested amount is below $5,000 approved by a Mobilization Pastor or Campus Pastor, or (ii) the requested amount is above $5,000 approved by the Mobilization and Outreach Team. Involved in an activity that has a Kingdom Purpose. Strong preference should be given to funding requests from an organization in which Bayou City Fellowship members are involved; this strong preference is underpinned by Bayou City Fellowship’s stated objective to have its members directly involved in service to the Kingdom. Although not a requirement, priority should be given to funding requests related to the Focus Areas. Please provide the website address for your Organization, if available. Does your Organization have any association with Member(s) of Bayou City? Please specifically name Bayou City Members. Please provide a theological statement of belief for your Organization (or refer us to a weblink with such a statement). Please describe how the grant will be used for a Kingdom Purpose and how Jesus will be glorified. Will any of this grant be used for administrative overhead? What percentage or dollar amount? Please provide the nature of the administrative expenses?